Generally speaking, it seems to me that immigration has never been this big an issue in America in my lifetime. We've got a surge of children crossing through our southern borders, the threat of terrorists or Ebola coming in unchecked, a president that is frustrated by an inability to achieve comprehensive immigration reform threatening to take drastic steps immediately after next month's elections, Congress deeply divided on what to do with a problem that polls indicate is high on the people's priority list, and a linguistic battleground where using terms such as "illegal alien" and "undocumented worker" automatically place you in one of two extreme camps. I'll be honest with you, though; it's not an issue I've ever considered very strongly. As such, I think it is the perfect subject to tackle in a new ReThink series. However, I can already foresee that this one will rely more heavily on value judgments than my previous efforts. 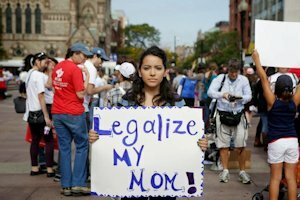 Whereas anthropogenic global warming has hard science working behind the political talking points and gun control has easily verifiable (or, as I discovered, easily debunked) statistics to prop up the various perspectives, immigration is almost purely political, with little in the way of data points. Sure, I can--and no doubt will--look at how immigration both legal and illegal affects economic prosperity, crime rates, and the like, or I can examine the rates at which immigration has been rising or falling, etc., but at the end of the day, people's opinions on the matter seem driven more by emotion than empiricism. As with my previous subjects, it is easy to separate the issue into two extremes--one on the right and one on the left--but because it is so easy, it has created this impression that there are only those two extremes, with no room for nuance or moderation. Either (1) you want to erect an impenetrable laser shield around the country and kick all the illegals out; or (2) you want to fire all border security personal, lay out welcome mats, grant immediate amnesty to all undocumented workers, and do away with any legal distinctions between those who worked for their citizenship and those who just showed up one day. I doubt very sincerely that there are many people in either category, but that's the narrative that has wormed its way into our national consciousness. I will attempt to avoid slipping toward the extremes, so I refuse at the outset to even consider that those who want stricter border security are driven solely by racist jingoism or that those who want to consider making the path to citizenship easier are just trying to create more Democratic voters. In other words, I am going to resist any and all appeals to motive. That's not what this exercise is about; it's about the truth as discerned and interpreted by an average voter such as myself. I go into this with far fewer preconceptions than my previous efforts. I have had very little personal, anectdotal experience with immigration. Sure, I lived in Florida, which has its fair share of immigration problems, but I lived in the middle of the state, where people are more concerned with tourists than with non-citizens. I've never really encountered the effects of illegal immigration in any large enough quantity to make an impression, and I've only really known a handful of immigrants who earned their citizenship and were interested in discussing the process. In an abstract way, of course I can appreciate how immigration is an integral part of this country's heritage. 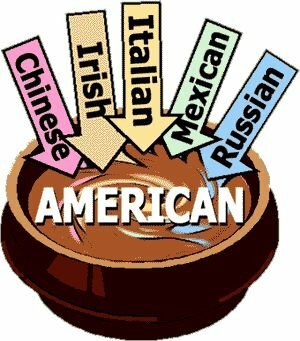 The term "a nation of immigrants" is a bit absurd when you think about it (since all nations outside of Mesopotamia are nations of immigrants), but it is a useful term to describe the general notion that America, more than almost any other nation, was built by outsiders coming in, that almost all of us can trace our family line back to somebody getting on a boat to get here in the not-too-distant past. But again, that's an emotional point to make, not a meaningful one. It's not an argument. 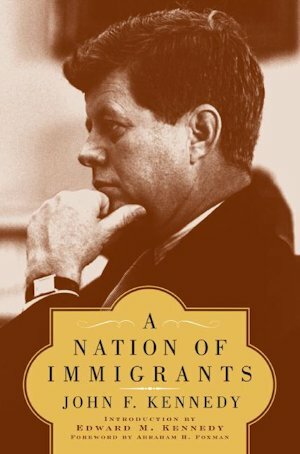 You could use the "nation of immigrants" point to argue that we should have more open borders, or you could use it to argue that we as a nation understand what is required to earn citizenship and should stay true to modern tradition. Therefore, I have no interest in hammering that point any more than I already have. Besides, I'm pretty sure it would piss me off if I were a native American. So, to begin, I will talk about what I think the problems are. It all starts with the fact that it is too difficult to immigrate to this country legally; the process is mired in bureaucracy, red tape, and outrageous fees. It's too easy to get in this country illegally, too; our borders are too pourous and unregulated, and the federal government is unwilling or unable to do anything about it. As a result of both problems, we have too many "illegal aliens" or "undocumented workers" hanging around. I honestly don't know if these non-citizens are good or bad for the economy, though I am well aware that people feel very strongly about that question. On one hand, maybe these non-citizens are stealing American jobs, leaching off of the welfare state without paying into it, and maybe they're bringing with them a wave of crime, drug use, disease, and more. Maybe there are even a few potential terrorists among them. On the other hand, maybe these non-citizens are a valuable asset, willing to do the work that our spoiled affluent culture is unwilling to do, and they're willing to do it for lower wages, allowing companies to thrive when they might otherwise stagnate and die. Maybe they are only "here illegally" because the system is unfairly rigged against those who need our compassion the most, the tired and hungry huddled masses that this nation was built to shelter. 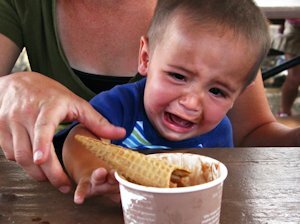 Sorry, kid, no ice cream for you until you fill out these INS forms, learn English, pass a test of U.S. history, and give us a few tens of thousands of dollars. (1) Is it too difficult to immigrate properly? (2) Is it too easy to get into this country illegally? (3) Do non-citizens drain or boost their local economies? (4) How much of a threat, if any, do non-citizens pose to national security? Only with those questions answered--or at least addressed--can I begin to examine the proposed solutions to these problems. How, for example, can we make legal immigration easier, and is there a way to more properly secure our borders that won't be as laughably ineffective as the partially-built wall we have down south? Only then can I consider what should be done with those who are already in this country without citizenship, and only then can I start talking about the political gridlock that has come to define this issue today. I'll try to squeeze in some time for things like the DREAM Act and the current influx of children, as well as whatever the president has up his sleeve come November 6. I'm pretty excited, because I genuinely have no idea what conclusions I will reach in the end.